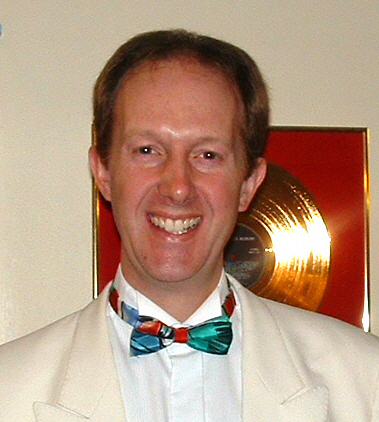 In 2001 the title of Musical Director was offered to Thom Meredith by the choir’s committee. Thom accepted, and the title and office was conferred on a conductor for the first time ever in the history of the choir. It was a bold move to appoint a 23 year old as principal conductor. That was back in 1989. Time has confirmed it to have been an excellent judgment. Thom has continually raised standards and the choir has enjoyed a large measure of success under his leadership. But how do you measure success? It is not only in winning competitions. There is also great enjoyment to be had in rehearsal, at concerts, on trips abroad and at social events. Together the choir and Thom have enjoyed themselves and continue to do so. Seemingly always good-humoured – his family may say different! – he puts audiences and choir alike at ease. Often he surprises us all with a special cameo number of his own. Keith has played a great part in the life of the choir, and in its success, for more years than he may care to say. Always modest and good-humoured and only occasionally crotchety – pun intended! – he lets his playing do the talking and never falls below his own high standards. It is hard to imagine a better accompanist. Since his appointment as Musical Director of Colne Valley Male Voice Choir in 1989, Thom Meredith has enabled the choir to achieve musical standards which have taken them to unrivalled records of success. Under his skilful, amiable and highly professional direction, the choir has become accustomed to performing without copies at competitions and concerts of the highest level throughout the UK and abroad, tackling a repertoire that annually amounts to over fifty different pieces. Born in Adelaide, South Australia, in 1965, Thom was educated at Lawnswood School, Leeds and then Brasenose College, Oxford, where he was awarded an Exhibition for conducting the Chapel Choir (1985 – 1987). Following a PGCE qualification from the University of Leeds, he taught Music in schools including four years as Head of Music at Colne Valley High School. Thom’s career involvement with young people continues in his current post as Principal of the Kirklees Music School (KMS). The Music School’s concerts, involving choirs and many varied instrumental ensembles from throughout Kirklees, have become established over the years as showcases of young musical excellence. Colne Valley Male Voice Choir is proud to have shared the platform on several occasions with the Kirklees Youth Symphony Orchestra, which Thom also conducts. In addition to his passion for conducting, Thom has established a reputation as a baritone soloist and an arranger of music for female, male and mixed voice choirs. He has taken solo bass/baritone roles in a wide variety of concerts, operas and oratorios, including first performances of contemporary works. In 1994 he was commissioned to write ‘A Tribute to Ivor Novello’ for mezzo-soprano, male voice choir and piano for the 1000 Yorkshire Male Voices concert at the Royal Albert Hall London and his arrangement of the 1960s hit ‘Harry’ is enjoyed by female voice choirs across the country. Since March 2010 he has established an all boys choir called Colne Valley Boys to encourage male voice singing amongst the male youth in our area. Keith Swallow, FRMCM, LM.mus., LTCL, ARMCM. Keith Swallow, Colne Valley Male Voice Choir’s accompanist since 1957, first took up the piano as a pupil at the then Honley Grammar School. He won a West Riding of Yorkshire music scholarship at the age of sixteen and went to study at the Royal Manchester College of Music, where he was awarded prizes, diplomas and the M.Mus Degree of the Royal College in London. He was later made an Honorary Fellow of the College. Well known for his concerts throughout this country, he has performed in Europe and the U.S.A., played with several British orchestras and appeared many times on television, notably in two BBC “Omnibus” programmes, a “Music at Harewood” for ITV, and as official accompanist for the finalists of the BBC’s Young Musician of the Year. He has broadcast regularly as accompanist, soloist, chamber music player and piano duettist, and has taken part in most of the country’s major festivals (including Cheltenham, Harrogate and the Three Choirs), as well as international festivals in France and Germany. Keith has made records with:- Colne Valley Male Voice Choir, Black Dyke Band, the BBC Northern Singers, lan Wallace, Alfreda Hodgson, Janet Hilton and Owen Brannigan. He has been a part-time lecturer at Huddersfield University and Bretton Hall College and regularly gives master classes around the country. Although he considers himself to be primarily an accompanist, he is in constant demand as a (reluctant!) 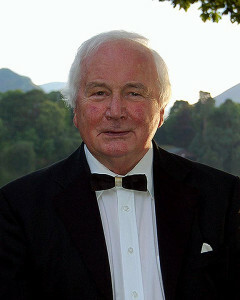 soloist and is widely recognised for his performance of 20th Century English piano.